I’ll put a buy on Twitter at the current price of $31.93 with a Target of $42 before the end of the year. 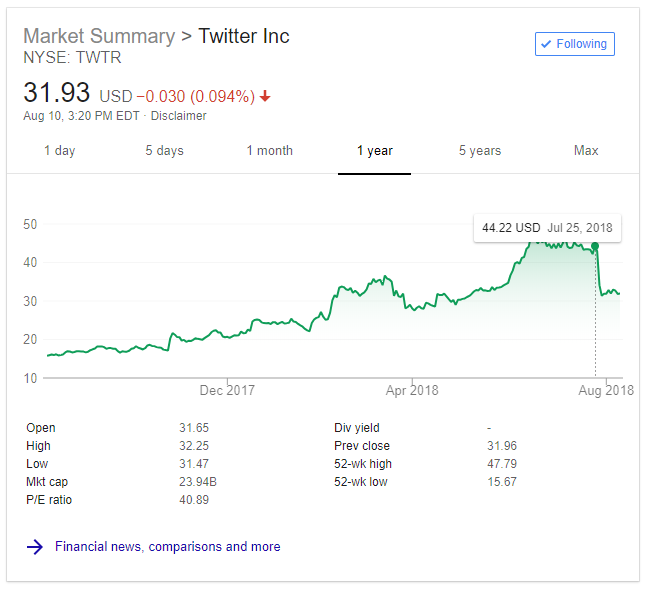 The drop in share price is due to the markets reacting to Twitter taking down fake accounts, I don’t think fake accounts actually brought in any ad revenue to the company. When the markets realize this, I’m sure the price of the stock will bounce back. The target of $42 is conservative, stock could have much higher upside. I do not own any Twitter stock nor am I an expert in this subject. Invest at your own risk.